Retroblog: They Want FX - $0.99 Sale! They Want FX - $0.99 Sale! Thanks for making the Tabletop 1.2 release such a success. In celebration, we've extended the $0.99 app sale and placed several of our most popular devices on sale for $0.99 too! 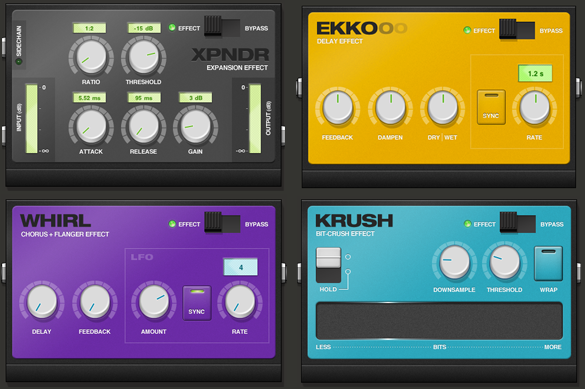 So grab some new effects, wire 'em up and let's see what kind of awesome tracks you can crank out this weekend. And if you haven't tried out the WIST tech for beat-syncing two iPads, now's the perfect time to tell a friend about Tabletop too. These crazy-low prices won't last forever!